We are thrilled to present this year’s stellar group of Keynote Speakers: Ellen Forney, Arthur W. Frank, Carol Tilley & James Sturm. Timing of these lectures is available on the Program 2014 page. Ellen Forney’s graphic memoir, Marbles: Mania, Depression, Michelangelo, & Me, is a New York Times bestseller, was named a “Best Graphic Memoir of 2012″ by The Washington Post, Time, East Bay Express, and Publishers Weekly, and earned Ms. Forney a Gradiva Award from the National Association for the Advancement of Psychoanalysis. 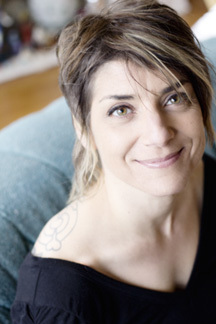 Ms. Forney’s other awards include a 2013 Inkpot Award for her contributions to the comics medium and the 2012 “Genius Award” in Literature from Seattle’s The Stranger. She collaborated with Sherman Alexie on the National Book Award-winning novel The Absolutely True Diary of a Part-Time Indian. She is also author of the Eisner Award-nominated comic books, I Love Led Zeppelin and Monkey Food, which was funded by a Xeric Grant. She has taught courses on graphic narrative creation at Cornish College of the Arts since 2002. Ms. Forney grew up in Philadelphia and has lived in Seattle, Washington since 1989. Ellen Forney will present her New York Times bestselling graphic memoir, Marbles: Mania, Depression, Michelangelo, and Me, a chronicle of her struggle with bipolar disorder during a 1-hour plenary session. Ms. Forney uses cartoon-style visual explanations that make bipolar disorder more approachable to many different audiences including patients, caregivers and healthcare professionals. By simplifying complex concepts and melding them into the graphic narrative format, she has made the perspective of patients with bipolar disorder easier to grasp as she explores the link between mental disorders and creativity. Ms. Forney will discuss how her work strives to convey the experience of bipolar disorder and how the use of narrative can enrich the impact of didactic cartoon illustrations. Arthur Frank is professor emeritus in the Department of Sociology at the University of Calgary. His first book was a memoir of his own illnesses, At the Will of the Body (1991, new edition 2002). He then wrote a study of how people narrate their own illnesses, The Wounded Storyteller (1995, second edition 2013), complemented by a book on the ethics of clinical relationships, The Renewal of Generosity (2004). His most recent book is Letting Stories Breathe, about how stories affect our lives. In 2014 he will give invited lectures in Sweden, Norway, England, Spain, Portugal, and be Resident Fellow in Canadian Studies at UCLA. 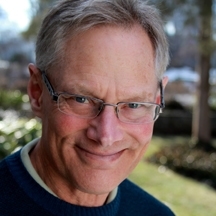 His interests include narrative bioethics, clinical education, and healthcare practice, especially end-of-life care. But, in whatever venue–all it’s ever really about is saying something that helps somebody make better sense of a life that’s become troubled. In my 1995 book, The Wounded Storyteller, I asked when do bodies need stories, especially ill bodies. Back then, graphic novels were scarcely on my radar, and certainly not as illness narratives. Today, some of the most compelling writing about illness experience is in the graphic-novel form, complemented by a new generation of physician writing about a side of medical practice that was rarely given public expression in the last century. This lecture contrasts prose representations of typical illness experiences with graphic-novel representations in order to ask what might be the unique possibilities of each; for example, how does a storyteller convince readers in different formats; how is a scene made real? Based on these somewhat formal considerations, I want to get to what has always mattered most for me: why does humanity need representations of suffering; what distinct forms of witness can different representations provide; and what responses do differnt representational practices call forth? Carol Tilley is an Assistant Professor in the Graduate School of Library and Information Science at the University of Illinois Urbana-Champaign, where she teaches courses in comics’ reader’s advisory, media literacy, and youth services librarianship. 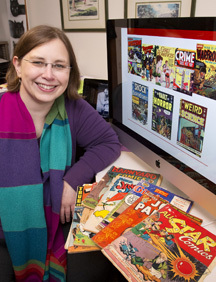 Part of her scholarship focuses on the intersection of young people, comics, and libraries, particularly in the United States during the mid-twentieth century. Her research has been published in journals including the Journal of the American Society for Information Science and Technology (JASIST), Information & Culture: A Journal of History, and Children’s Literature in Education. Her research on anti-comics advocate Fredric Wertham was featured in the New York Times and other media outlets. A former high school librarian, she was until recently co-editor of School Library Research, the peer-reviewed online journal of the American Association of School Librarians. You can find more information at her website, http://www.caroltilley.net or follow her on Twitter at @CarolGSLIS. Fredric Wertham, a German-born American psychiatrist, devoted much of his practice in the 1940s and 1950s to the diagnosis and treatment of young people identified by schools, social welfare agencies, law enforcement, and court officers as juvenile delinquents. As part of these young people’s intake and therapeutic regimens, Wertham and his clinical associates studied their comics reading. He found that reading comics was a pastime uniting virtually all of his young patients. Perhaps an unsurprising revelation given that nearly all children and teens during these decades read comics regularly. His study led Wertham to advocate—primarily through the 1954 publication of his book Seduction of the Innocent—for limitations on the sale of comics to children. My talk will explore the evidence on reading comics that Wertham gathered, how he understood it, and how he manipulated it to further his aims as a social psychiatrist and mental hygienist. James Sturm lives in White River Junction, Vermont with his wife and two daughters, where he helps run a cartooning school that he co-founded, The Center for Cartoon Studies. 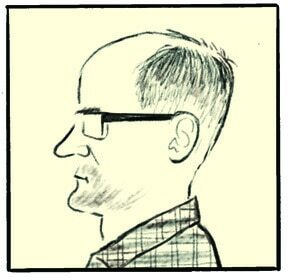 James’ graphic novels include The Golem’s Mighty Swing, Market Day, and James Sturm’s America. His other books include Satchel Paige: Striking Out Jim Crow, The Fantastic Four: Unstable Molecules, Denys Wortman’s New York, and the popular Adventures in Cartooning series. James has taught and exhibited his work throughout the world. His comics, writing, and illustrations have appeared in many publications including The Chronicle of Higher Education, The Onion, The New York Times, and on the cover of The New Yorker. He is also a contributing editor and cartoonist to Slate and is a co-founder of the Seattle weekly paper, The Stranger. James is also featured in the documentary Cartoon College. The Center for Cartoon Studies (CCS) has recently begun working with veterans in the Residential Recovery Center and Inpatient Psychiatry unit at the White River Junction, Vermont VA Medical Center. In preparing for this unique collaboration, several CCS students and faculty members designed and developed a curriculum with key VA medical staff including then National Center for Post-Traumatic Stress Disorder (PTSD) Executive Director Dr. Matthew Friedman, Acting Executive Director Paula P. Schnurr, and E. Lanier Summerall, the VA’s Chief of Mental Health and Behavioral Sciences. The sessions have thus far consisted of various exercises and facilitated discussions for veterans with PTSD and substance abuse issues. James Sturm, cartoonist and CCS Director, will discuss CCS’s ongoing involvement with the VA as well as The CCS’s new MFA track, Applied Cartooning, a program designed to explore comics’ underutilized potential in the fields of medicine, education, and more.